Since their inception, they have always been highly sought after jazz mouthpieces. 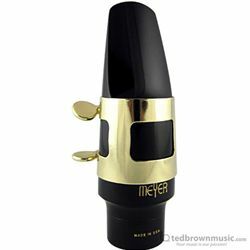 New York Meyer Brothers mouthpieces are considered by many to be the Holy Grail for players. The Hard Rubber series is great for students to players at every level. It has a smoothness of tone, and great response.